Home » Highways and Streets » Repair C6 now! The existing roads that comprise what has been designated as Circumferential Road 6 is an important link that serves as an alternate route for people and goods traveling between the eastern towns of Rizal province and Metro Manila to urban centres in Makati (Ayala CBD) and Taguig (Bonifacio Global City) as well as the southern areas of Metro Manila all the way to Laguna and Cavite. During the last dry season or summer, the roads conditions have been quite good such that travellers from Rizal could easily reach BGC or Makati in less than an hour give and take typical congestion during the peak periods. The situation has significantly worsened since the onset of the wet season as the pavement quickly deteriorated with the combination of heavy rains and heavy vehicles utilising the road. Highway 2000 from Taytay, Rizal was already in bad condition during the summer so it became only worse once the rains came. However, it is the C6 segment from Pasig to Taguig that has deteriorated and is now in a state of disrepair. Following are photos that show how bad the conditions are and which have led to travel times worsening to more than double than what it should be if the roads were in good condition. Section in Taguig along the shores of Laguna de Bay where even large trucks avoid the deep holes along the road. These situations along C6 constrict traffic everyday. C6 section in Pasig City where what used to be asphalt is now a muddy mess. Another section in Pasig City where C6 passes through a relocation area (Lupang Arenda) where local traffic affects through traffic and C6 is probably at its narrowest. The section from Pateros to Taguig was built as a road dike protecting these areas from floods brought about by the increasing level of Laguna de Bay during the wet season. While it is basically a secondary road compared to the other circumferential roads, traffic has significantly increased along C6 due to many people discovering that you can travel faster between Rizal and Makati or BGC via this road. Sadly, there seems to be little or no attention given to its current state. I understand that the DPWH has a process for determining whether a road needs to be repaired and given limited resources, the agency also applies a process for prioritisation of road repairs (i.e., there are many other roads that also need repairs). However, there should be a way to allocate resources for the repairs of the road and this includes involving the LGUs whose constituents benefit from the use of the road. 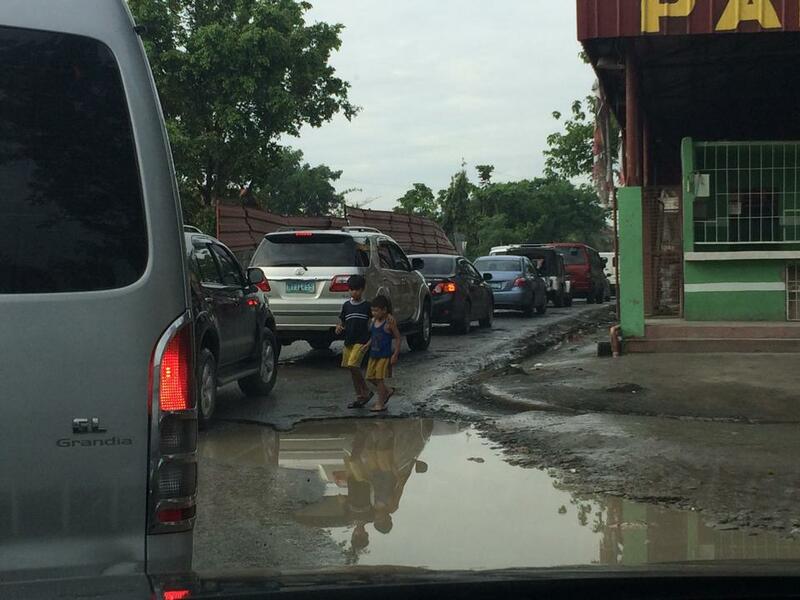 Rizal province and towns and Pasig City should take the initiative to find ways to improve the conditions along C6. It is also in the interest of Taguig to improve this road as many of its residents use it, too. Hopefully, the road will be repaired sooner rather than later and travel times will improve again. Of course, this should be the case whether or not the proposed C6 expressway is realised. By d0ctrine in Highways and Streets, Infrastructure on September 12, 2014 . First time to pass C6 yest as suggested by Waze… Super terrible!! Should be called SEASICK!